Are you a person who wants to have some far out mood lighting? That is now made possible thanks to the RC Star Wars lightsaber wall light, where it will cut through the dark of the night with up to 7 different color effects. 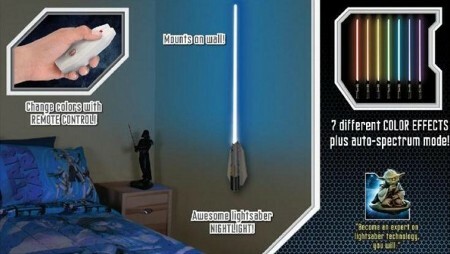 Good thing a single $25 purchase will feature all seven colors thanks to a remote control that allows you to shift quickly between the dark and light sides of the Force. Too bad you can only place pre-orders at the moment before it ships later this Q3.